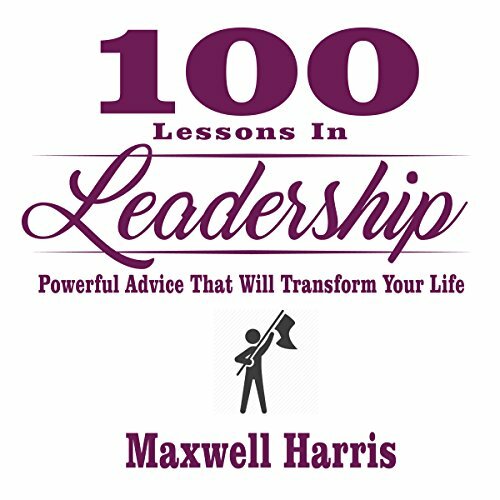 Powerful, practical leadership advice fit for everyone from a Fortune 500 CEO to a small business start-up! Every business, organization and group is defined through the vision of its leader. Effective leadership can make or break any endeavor. It can make the difference between overcoming seemingly insurmountable challenges or falling to adversity. History celebrates such great leaders; names such as Jesus, Buddha, Mohammed, Genghis Khan, Hannibal, Gandhi and names such as Steve Jobs or Bill Gates in the modern business world are held with the highest reverence. What traits set these leaders apart from their peers? What enables them to motivate their followers to marshal their deepest resources and endure and even excel in the face of seemingly impossible odds? In this book you'll learn how to shape your daily activities for effective results and how to approach every challenge as an opportunity - not a roadblock. You'll learn how to take a failing group, lacking in motivation, and transform them into a unified team powered by a common vision. You'll discover the secrets used by effective leaders to produce positive outcomes as well as how to delegate your leadership authority to others so that they can get the same results. This one-of-a-kind program is a must have for every worker, leader, or team member responsible for making things happen within the organization! Now Is Your Moment of Greatness!